Createspace Independent Publishing Platform, 9781495496738, 292pp. Lent begins with ashes placed on our forehead. The ashes remind us of our poverty and our weakness. But Lent is not just about ash. Lent is a path through which the Holy Spirit wants to transform us from ashes into new creatures. 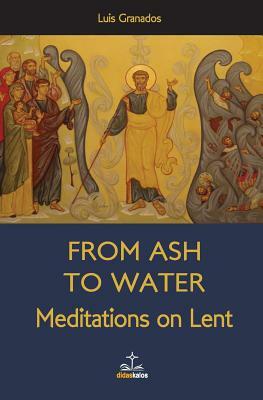 We offer this book to you as a helpful friend for living these days of Lent as a time of great hope. We enter these forty days looking for and encountering Christ so our lives may be made new. Each day begins with the Gospel reading, followed by three points of meditation, and then some tips for your daily prayer. Fr. Luis Granados, originally from Madrid, Spain, is currently a Parochial Vicar at St. Mary Catholic Parish, Littleton, CO. Fr. Luis belongs to the religious community of the Disciples of the Hearts of Jesus and Mary (DCJM). After his ordination to the priesthood, Fr. Luis moved to Rome and earned his Doctorate of Sacred Theology (S.T.D.) at the JPII Institute for Marriage and Family life. He subsequently worked for the Institute and upon returning to Spain he worked with the Families of Bethany program, was a professor of moral theology, worked with the JPII Institute in Madrid, and cared for new Disciples.